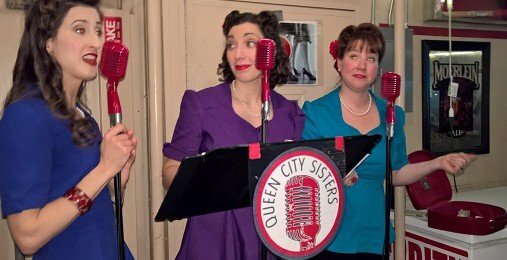 The Cincinnati Dinner Train is pleased to announce the addition of The Queen City Sisters, an a capella trio. 1940s Andrews Sisters style women’s trio! Singing and swingin’ to songs from the 40s and 50s every Saturday evening. Disclaimer: Performances not guaranteed due to some prior booking commitments.